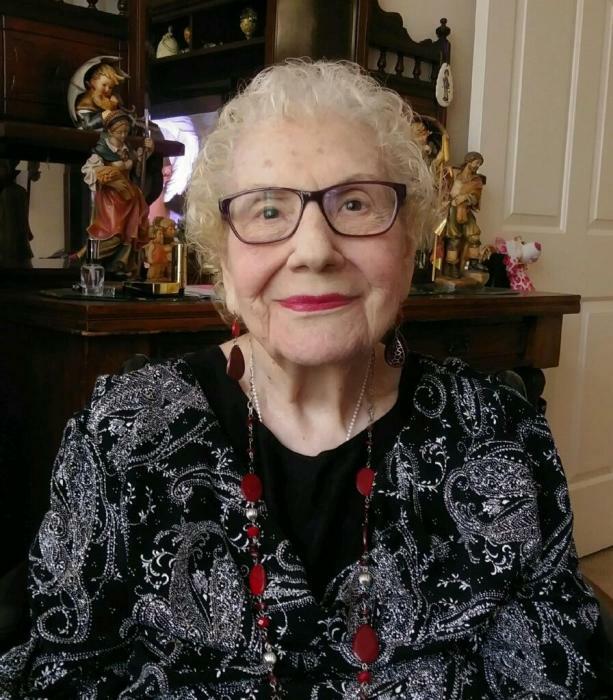 Obituary for Lee Taylor-Wimett | Bill Head Funeral Homes and Crematory, Inc.
Legora "Lee" Taylor-Wimett, of Lilburn, Georgia, peacefully went home to be with the Lord on January 20, 2019, at the age of 93. Visitation for family and friends will be held in the chapel at Bill Head Funeral Home, Lilburn/Tucker Chapel, in Tucker, GA, on January 26th, from 12:00 pm through 2:00 pm. The 'Celebration of Life' will begin at 2:00 pm in that same location, led by her son, Rev. Robert S. Taylor. A graveside Memorial Service and Interment will be held at a later time, at Woodlawn Memorial Park, in Easton, Maryland. "Lee" was a vibrant, strong and beautiful woman, born in Roanoke, Virginia, April 8, 1925. She was one of three children born to Annie and Elmer Nienke. During World War II, she worked for the War Department in Washington, DC, as well as the Army Ordnance Corps. After the war she married Eugene A. Taylor, on April 10, 1946, and continued to work while raising a family. In 1958, she transferred to the National Security Agency (NSA), where she was Resources Manager in the Cryptologic Career Service and was appointed Chief of Financial Policy, representing financial interests of the U.S. Government here and abroad. She attended the Defense Intelligence School, the Department of Defense Computer Institute and the Naval Post Graduate School in Monterey, California. She wrote and published a Resources Management Manual and taught classes at the University of Washington and the National Cryptologic School. She retired in 1983, but continued to work for the NSA as a consultant, until she moved to Lilburn, Georgia in 1990. She was past president of Button Gwinnett Chapter 1348 of the 'National Association of Current and Retired Federal Employees (NARFE)' and editor of the Chapter Newsletter. She volunteered with the AARP Tax Aide program for 20 years, assisting the elderly with income tax preparations. She was Local Coordinator and past District Coordinator, responsible for Gwinnett, Rockdale and Newton Counties in Georgia. She was a member of Calvary Baptist Church, Lilburn, and past Director of the Women's Missionary Union. She was a member of the National Cryptologic Museum, the Phoenix Society, Project Liberty Ship and the Salem Educational Foundation. She married Harold A. Wimett (a.k.a. 'Hal Grant' - the voice of WDBJ Roanoke) on May 19, 1991. Together, they loved to travel the world by plane, train and cruise, and participated in a number of local groups and organizations. In her spare time, "Lee" wrote and published three additional books; each a memoir... (1) of her mother, (2) of her 2nd husband, and (3) of her own life, up to age 85. She loved writing, reading, music, restaurants, family, friends, her dear pets...and wearing bright colors. She had a deep and abiding faith, and a love for her church. Her home was always open and people knew they could count on her for just about anything. She lived her life with joy, laughter and happiness. "Lee" was preceded in death by her husband of forty years, Eugene A. Taylor, her grandson, Christopher Howard, her mother and father, Annie and Elmer Nienke, and her husband of nine years, Harold A. Wimett. She is survived by two children, Alanna Taylor Howard (Sam: California), Robert Taylor (Michael Anderson: Georgia); three grandchildren, Eugene Howard (Tisha: California), Lauren Taylor Sarver (Jake: Georgia), Andrew Taylor (Amanda: Georgia); nine great grandchildren, Garett, Alexander, Theron and Nicole Howard (California), Megan, Allison, Nathan, Kaydee and Wesley Sarver (Georgia); four step-children, Martha Wimett Lozier, Allen and Roger Wimett (Virginia), and Forest Wimett (North Carolina); daughter-in-law Marilyn Johnson Taylor (Georgia); two brothers, Wayne Nienke (Virginia) and Roy Nienke (North Carolina); two nieces, two nephews and a host of additional family and friends.